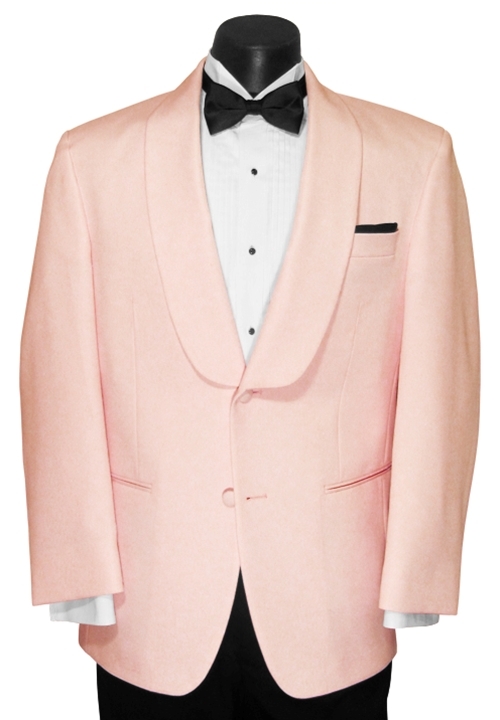 The Two Button Pink Shawl Tuxedo Coat by Andrew Fezza is an unforgettable centerpiece to your formal ensemble. Combining a classic two button front, satin shawl lapel, and trendy pink hue. This coat is sure to make a splash; great for Proms, Themed Weddings, or anywhere you want to show off just how attractive a pink coat can be!